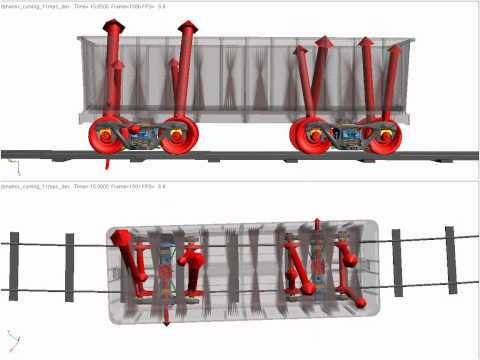 VI-Rail allows to quickly build a complete, parameterized model of a new railway vehicle, easily define its suspension, wheelset, wheel-rail contact, and other vital characteristics. Running through a battery of simulations, VI-Rail allows to determine the vehicle stability, derailment safety clearance, track load, passenger comfort, and more. 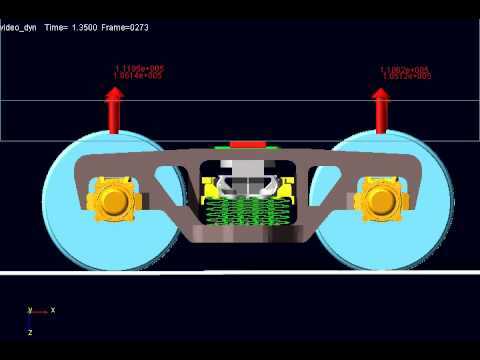 The performance of a railway vehicle design can be optimized virtually in the computer, before cutting a single piece of metal or running a single physical test. Simulation gives users immediate answers to their engineering questions. They quickly see and understand how any kind of design change will affect vehicle performance. VI-Rail is built upon the MSC Software product MSC Adams, widely recognized as the world’s leading mechanical system simulation tool. VI-Rail users can instantly see the effects of design changes on railcar performance in high-speed animation. They can easily detect component interferences, excessive wear, instability, and performance limitations. Users can also plot key parameters in graphs to compare results from different designs.